News! We're really excited to announce news of five more librarycamps for 2013. It's really really great to see them springing up all over the UK. Librarycamp Sheffield takes place at Sheffield Hallam university on Saturday 2 February. Quick, get a ticket here. It's sold out but you can join the waiting list from the same link. Donations of cake and savoury snacks are most welcome! See the libcampsheff wiki for everything you need to know about the day. The Twitter hashtag is #libcampsheff. If you'd like to ask any questions, interview an organiser or just find out more about Librarycamp Sheffield tweet (Sheffield-based contacts) Michelle @libmichelle, Thomas @thomaskistell, Emily @libraryems (not Sheffield-based contacts) Penny @pennyb, Carolin @bumsonseats. Librarycamp London takes place on Saturday 2 March at the Senate House Library. Tickets were announced before Christmas and they've all gone, but you can add yourselves to the waiting list here. NEWSFLASH: More tix to be released next week. Want more information? Tweet @preater or @ggnewed. See the libcampldn wiki for everything you need to know about Library Camp London including: session pitches; lunch; and drinks afterwards. The Twitter hashtag is #libcampldn. If you don't have a ticket you can still follow the action with the hashtag #libcampldn or #libcampsheff. There's usually live blogging too and we can give you details nearer the time. Keep checking those hashtags folks! Newcastle and Manchester and Ireland! 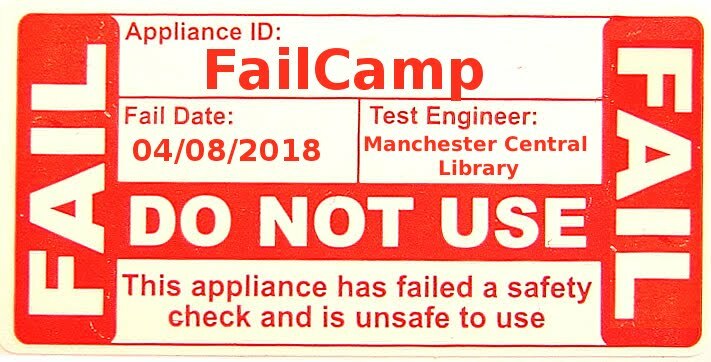 A little birdie from the North East also tells us there is a Librarycamp planned up that way in June and we've heard on the grapevine that there might also be one in Manchester at the start of May. UPDATE! News via Twitter just in - Ireland's first librarycamp is planned for the spring - dates tbc.